Commercial building for sale in Buxton with good exposure and Highway frontage. Zoned C-3 for many allowable uses within the Commercial District. 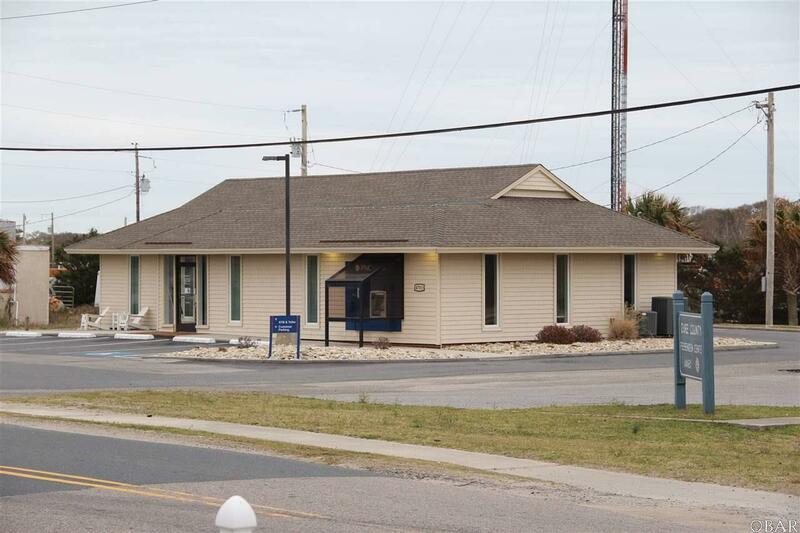 The former bank building has the island's only built-in vault, is located in the town with the highest year around population, and is within 1.5 miles of the Cape Hatteras Schools and the Cape Hatteras Lighthouse. 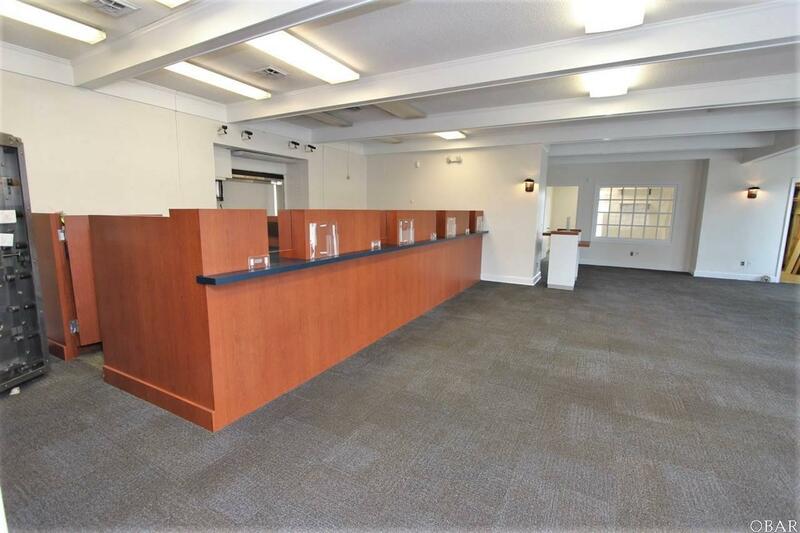 It has an open welcome area with teller line to accommodate 3 tellers, plus the drive through attendant. 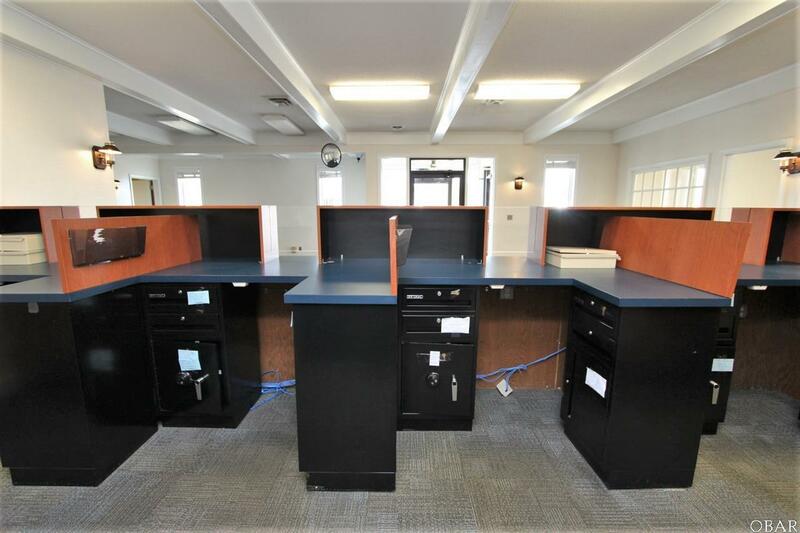 Two private offices, plus open space in the main area for additional work stations. 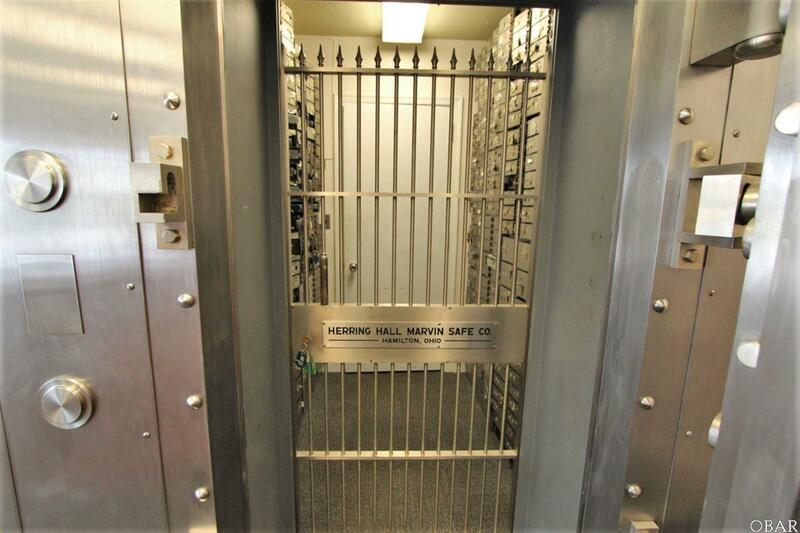 Break room for employees, bathroom, an ATM service room, as well as a night deposit safe in another area, and storage and utility closets. September 2018 appraisal on file for $535,000. Call the listing agent to request the appraisal. Property includes two parcels, one that includes the building and another that includes some of parking spaces on the corner of Highway 12 and the Back Road. Pin numbers include 053607598475 and 053607598574.